Mt. Zion Baptist Church organized a local disaster relief ministry to respond to the needs of our community during an emergency crisis. 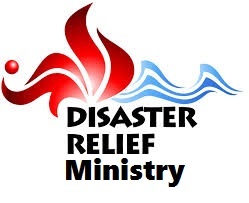 Disaster relief includes several organizations plus members of the Mt. Zion Baptist Church congregation who will respond as needed. While this ministry functions as a community-based disaster relief program, it is a church-based initiative working in obedience to Christ's command to love and meet the needs of our neighbors. If you hear of anyone in the community (not just MZBC members) that has a disaster such as a house fire or accident causing injuries, call Pastor Dwayne Bedingfield, (478) 277-0130 or Reverend Hershel Standard, (478) 951-8855, and a rapid response effort will be initiated. Adult Reading and Writing (ARW) is a church-based ministry that helps adult low-level readers imporve their ability to read and write. While providing service to our community, it also provides Christian volunteers an opportunity to obey Christ's command to love and meet the needs of our neighbor which is an intentional demonstration of Christ's love. Building relationships with our community while providng a much-needed service. Meeting basic skills vital to employment opportunities. Providing a natural settting for sharing the gospel. If you would like help improving your reading and writing ability, please contact Kathy Estrada, (478) 945-3161.